Q-Ride: Get Licenced WIth Us! 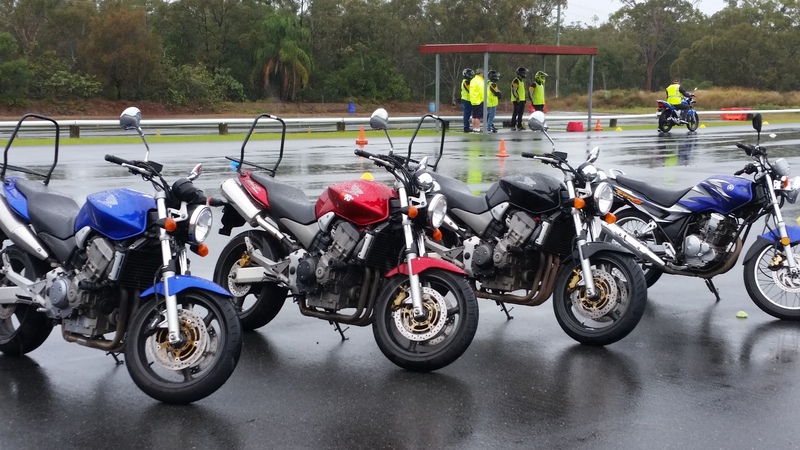 This is the new Queensland LEARNER Course – It is a compulsory 2-day course to gain your learners licence, the course consists of two days training, Assessment & your learner licence – Bike, Insurance, Safety Gear is all supplied. Training midweek and every Weekend at Mt Cotton. The next step after obtaining your licence, build on your new skills and practise on the fantastic mt Cotton road Circuit. Run with smaller, limited numbers, the course focuses on both the physical and mental skill development via our 8 hr practical day. We will use the full circuit for the entire day, starting with slow riding clutch control and counterbalance exercises, working up to cornering technique, slalom, hazard avoidance and emergency braking skills (at road speeds) spending the afternoon riding around the circuit working on 6 seconds vision, eye-line, throttle control, entry and exit points. We supply drinks and lunch. Stay Safe Q Ride private training offers you the chance to develop your skills at your own pace with undivided attention. Find areas you need to build on, sharpen up your skills or just use the time to build up your confidence. Not bought a bike yet? Book a two hour session to gain road time after completing your learners, or a four hour ride into the Hinterland, including a trip down the Numinbah valley, such a wonderful ride, its why you probably started training in the first place - - - - - It's your time use it how you need to. One on One's call can be booked by calling or emailing us. The Nerang location is our head office and training combined. 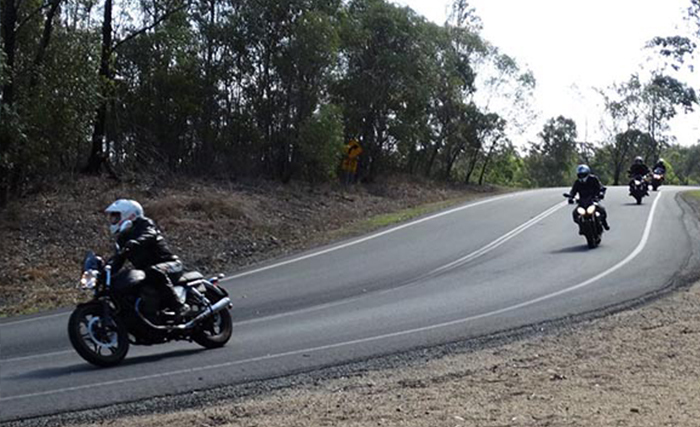 Nerang provides a nice mid-way point for the people looking for motorcycle training in the Gold Coast. The Area is Motorcycle hub, consisting of numerous motorcycle dealers, repair agents and gear retailers. The area has plenty of free parking with no time limit. Courses are run from here daily. Mt Cotton Training Centre is a purpose-built facility to handle all kinds of automotive training. Police, Ambulance, Heavy vehicle training and of course Stay Safe Rider Training Q-Ride courses. 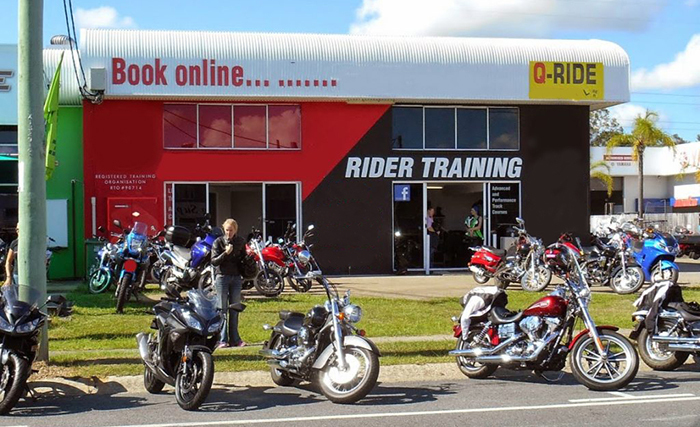 It is such a professional venue with a specific Motorcycle training range it a great place to learn to ride. Located just south of Brisbane, just 25 minutes from Brisbane CBD, and 20 minutes from the Northern Gold Coast, It's the perfect place to learn how to ride or develop your existing skills. Why not ask about our private road based course on the fantastic circuit at the venue. Our Archerfield Training Center has been recently refurbished to handle our Revolution and Stay Safe Rider Training Q-Ride courses. Previously a go kart track, we have remodeled to fit in the Qride course curriculum range. The beauty of the venue is the track is still there and we allow clients to use this for self development / time on a bike for only $20 an hour, with the option of 1 on 1 Instructor training. New classrooms, audio visual room, kitchen facility and outdoor seating, this is a great place to train in such a professional venue and with our specific Motorcycle training range it's a great place to learn to ride. Located just south of Archerfield Airport, just 25 minutes from Brisbane CBD, with easy access from the Ipswich and Centenary motorway it makes getting here easy. Our Stay Safe trainers have been helping people learn to ride for over 18 years. We have had a blast teaching so many new riders, up skilling experienced riders and even teaching new trainers over the years. Over this time we have learnt as much as possible about how people learn to ride. Our focus is to try and take the stress away from licensing, by giving you the guidance and training in a relaxed and fun atmosphere to allow you to become the best rider you can be. And most importantly, we learned how good it feels to see our learners become great riders.